Robin Hill is a country park with attractions for all the family. 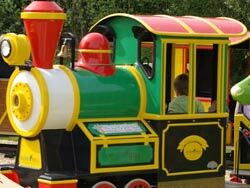 Families with children of all ages will love the huge variety of play areas and our four main ride experiences. Adults who visit without children in tow will be able to enjoy and relax in our woodland gardens, learn about red squirrels and nature or find out about our rich Roman history. Everyone will enjoy our breath-taking falconry displays, no matter how old or young...and come back again and again over 7 days at no extra cost to enjoy the park once again! A fine selection of rides can be found at Robin Hill, you'll find something for all ages including Toboggan Run, Cows Express, Colossus Swinging Galleon, Time Machine. Spread out over 80 acres of beautiful countryside, Robin Hill has huge amounts of space for children to run free and let off steam. As you go around the park you will come across a variety of exciting play features for children of all ages from tots to young teens. Spectacular aerial displays at 11.30am and 2.45pm, set against the stunning backdrop of our beautiful downland scenery, there probably won’t be a better place to see these birds in action in the whole of the UK. Robin Hill isn’t just about families having fun and letting off steam...far from it. The park has a very grown-up side too and makes an ideal destination for “grown-ups” without children to visit throughout the spring, summer and autumn.